One of the advantages of travelling in January is that the hordes of tourists typical of the summer season are gone, and only locals are left to enjoy the beauties of the country. The January visitor may have the luck to truly enjoy a slice of real Italy, in the peace and quiet of the low season. 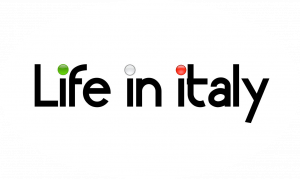 Those who are planning to take a trip to Italy in January would need to plan out an itinerary based on the kind of activities they prefer: visiting museums, churches, or any type of indoor activities are of course the best options. At the same time, if you are a bit of a snow bunny, January is also a good month for skiing and winter sports. January is an off tourist season in Italy, mainly because of the fact winters can be cold, even damp in some parts of the country. However, the weather isn’t bitingly unbearable, like in many parts of Europe or North America. January 29 30 and 31 are known as the “giorni della merla“ (days of the crow/blackbird) and are supposed to be the coldest of the year. Anybody really desperate for swimming somewhere in Italy during the month of January should look into Italian Hot Springs resorts. Northern Italy is definitely the coldest part in the country because of its proximity to the Alps. In Milan and other cities in northern Italy, average temperature would remain between -4 degrees Celsius to 7 degree celsius (25 to 44 degree Farenheit). Keep in mind, however, that the closer you get to the mountains, the colder it gets. In January snow falls are very frequent. In Central Italy, including Rome, the temperature remains approximately between 7 to 13 degrees Celsius (39 to 55 degree Farenheit) throughout the month. In January, precipitation is frequent, but snow is rare (In Rome it snows only once every few years). In Southern Italy and Sicily, winters are quite mild with temperature remaining between 11 to 15 degrees Celsius (51 to 59 degrees Farenheit). Precipitation is frequent, but not as much as in the North. Snow is very rare. 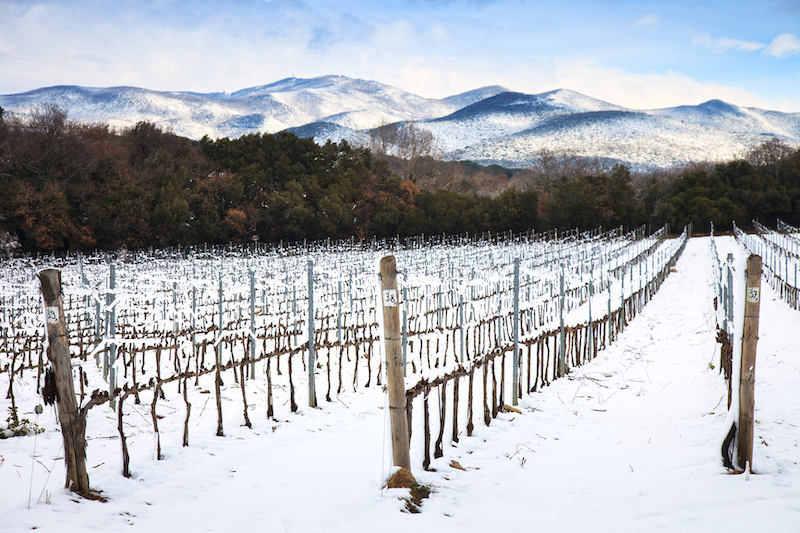 Visitors have plenty of options in terms of places to visit even in the winter months. Those who love adventure sports and skiing should definitely visit the country in January. Italy is internationally known for its world class ski slopes and its great mountains, that remain covered with snow well into the spring. 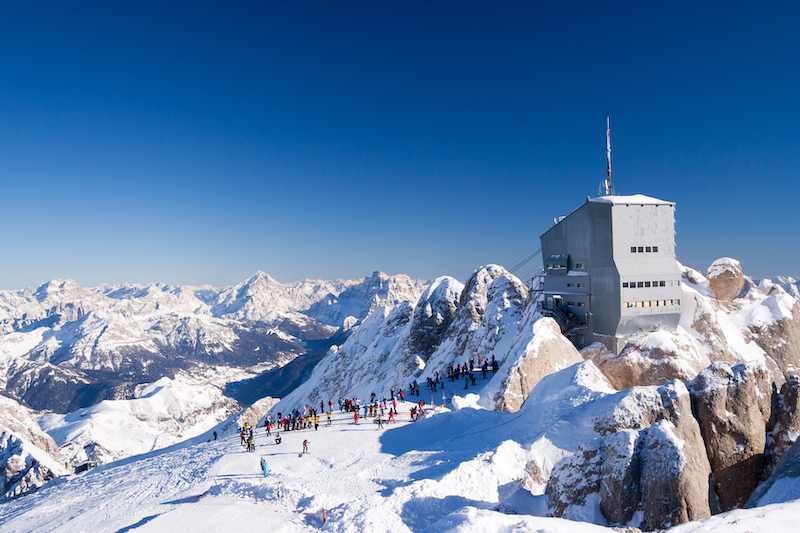 The famous Dolomites are probably the best place to visit in January if you love winter sports and snow. The Dolomites are a UNESCO World heritage site, and are characterized by dozens of majestic mountains covered in snow. There are several good ski resorts in the area and visitors can choose from many activities like skiing, mountaineering, hiking etc. Some of the most famous places along the Dolomites are Alleghe, Auronzo, Falcade, Urtijei and Arabba. Apart from skiing, visitors can also visit these charming mountain villages. 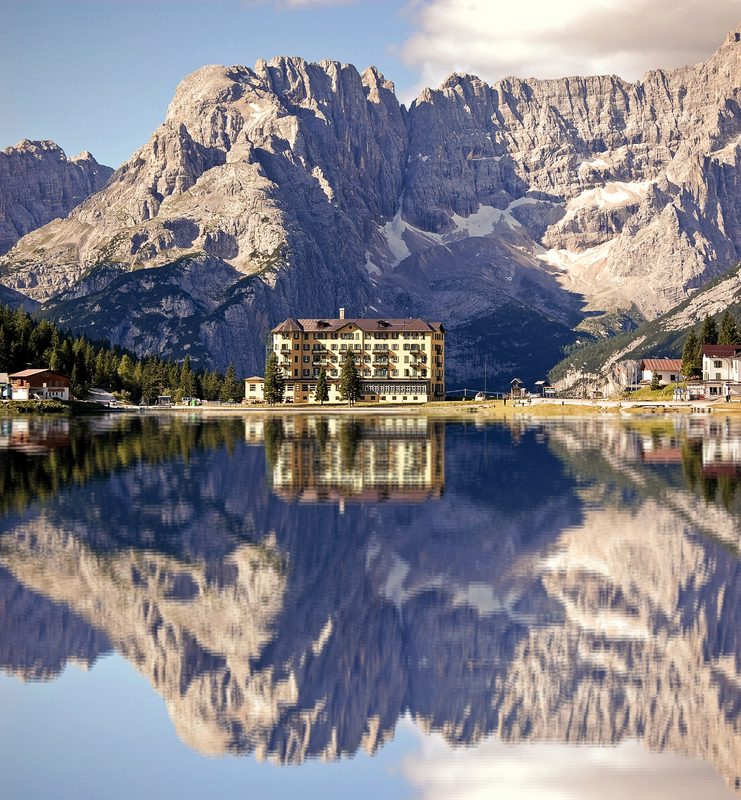 Another option to consider is to combine a visit to the Dolomites to other locations in northern Italy. Northern Italy has many beautiful cities like Milan, Genoa, Bologna, Venice and Turin, all of which are known for their amazing artistic and historical attractions. Festivals and fairs in Italy never truly stop happening, and January is no exception. In January, there are many good festivals in different parts of the country. Visitors who want to get a sneak peak of traditional Italian life may like to plan their trip around some of them, keeping in mind though that, while some are indeed quite unique and have deep cultural and historical connotations, others are just really a good excuse for the locals to celebrate and party amongs rivers of drinks and mountains of food. Here are some of the most characteristic festivals of the month of January. 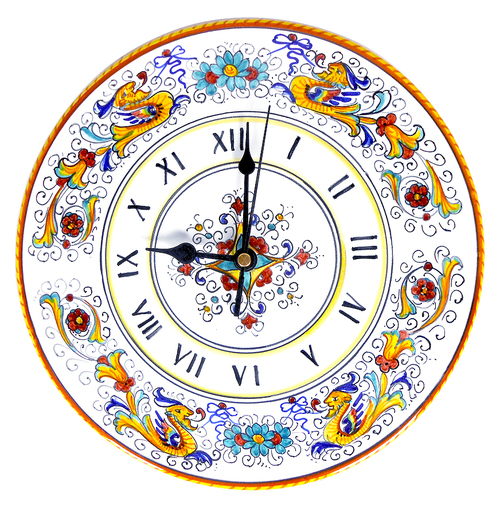 The most important and widely celebrated of all January festivals is the Epiphany, on the 6th of January. People exchange gifts, children hang their little stockings out on the night of the 5th, waiting for the Befana to bring them toys and candy. La Befana is a very old woman who rides around the country on a broom and is seen portrayed in the festivities throughout the country. Nativity scenes are performed everywhere on the occasion, too, as the 6th of January is also the celebration of the Three Wise Kings finally reaching Bethlehem. The Festival of Saint Antonio Abate is celebrated in many different regions in Italy: it takes place in the villages of Sardinia and Abruzzo on the 16th and 17th of January, and in Nicolosi, Sicily on 17th January. During the festival, huge bonfires are lit and kept burning all night. The festivities also include local drinks, food, dancing and music. In Nicolosi, the monks reconfirm their vows to God and Saint Anthony himself. One of the most interesting places to visit in January is Buti, a village close to Pisa. 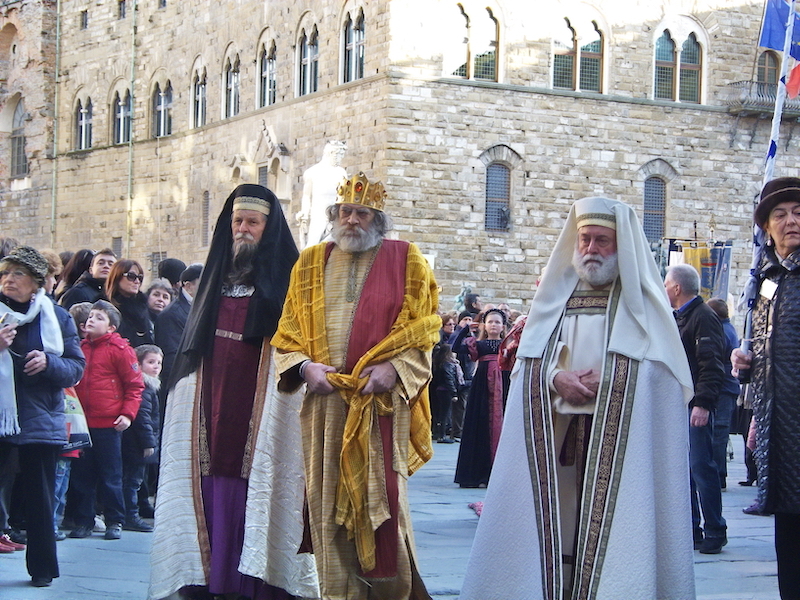 On January 17th the town witnesses the annual Palio di Sant’antonio Abate. During this fun filled festival, locals wear traditional costumes and parade through the town. Later, a famous horse race is organized between neighboring towns and villages. The prestigious palio is taken home by the winner of the race. The Sant’Orso fair has been celebrated in Italy for more than 1000 years. It is a typical wood carver’s fair and several local artisans demonstrate their abilities and sell their creations at typical street stalls. Special meals and drinks are served for all. 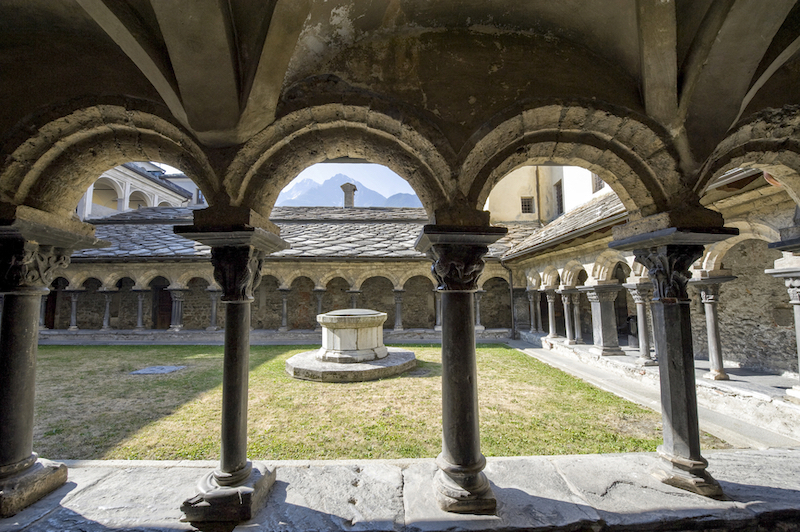 The fair takes place in Aosta towards the end of the month.